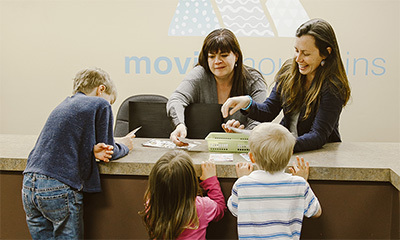 10 Ways To Get Your Kids Movin’ and Loving it! Sometimes it can feel like kids need encouragement to get outside and get movin’. It can be even harder to make this something they love and will strive to incorporate into their every day life. But if we can get those little ones into a routine that includes physical activity and outdoor activities, we might just set up a healthy routine that will be for life! Don’t Forget About the Boys. Men Have Pelvic Floor Issues too! As a MM PT, I love learning and sharing knowledge with other PTs to enhance my ability to treat and educate my clients with pelvic floor issues. Julie Weibe is a PT with some great resources and it was through her site that I found some information that is often a little trickier to track down – information for the boys on their pelvic floor! I am always looking for strategies to help my clients with their speech therapy goals. One resource I find really helpful is the Hanen Centre, a Canadian charitable organization that works globally to support parents, caregivers educators and SLPs. One really important technique to help children learn language is the “back and forth” play or the “taking turns” strategy. Having a back-and-forth conversation with a child may seem like a small thing, but it has a big impact on their language skills.